By the time we save for our first home, upgrade to a bigger or better one, earn enough money to pay the mortgage and bills and live life in between, it’s not surprising many of us don’t contemplate investing in property until we are middle-aged or beyond. But like so many things in life, it’s not too late to become a property investor, especially if you have a stable financial base with equity in your own home and plan on working for at least another 10 years (the average property cycle). In fact, many later investors find they have more funds, time and focus to make wiser choices and reap the rewards. BE CLEAR ON YOUR GOALS Spend some time working out what you want from your investment, and ultimately your lifestyle in the medium and long-term. Are you looking for income generation in the shorter term or capital growth over time? Many investors, regardless of age, make the mistake of diving in without a strategy. 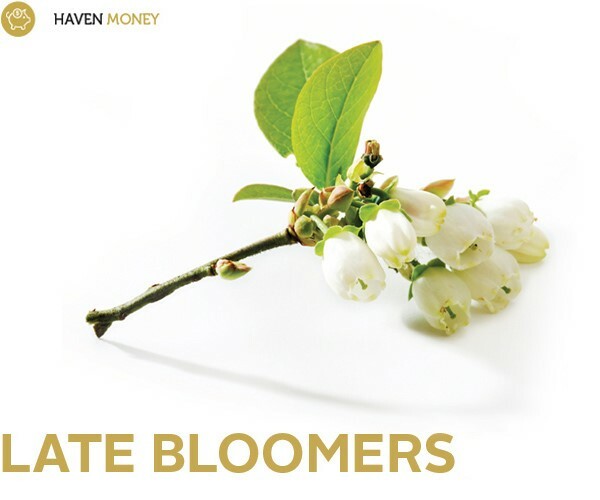 The challenge for those starting to invest later in life is that there are fewer employment years to support cash flow so understanding your end game and developing a plan becomes more important in order not to waste money, time or opportunities. It’s also critical to remember your circumstances and the lifestyle you want down the track are unique. Your plan needs to suit your goals, not someone else’s. YIELD OR CAPITAL GROWTH? While both rental returns (yield) and a property’s potential to increase in value (capital growth) are important, property investment strategies can sometimes lean towards one or the other. Properties with high rental returns are often close to a sustainable supply of itinerant workers or students, such as hospitals or universities. Generally the entry price is lower because there are a lot of similar properties nearby, which creates a more saturated market and, in turn, limits the potential for rapid capital growth. But the lower price point and ongoing supply of employees or students means strong rents. Investors pursuing capital growth can tend to look for a worst-house-best-street scenario and are prepared to cash in down the track when prices in that area ultimately increase or the investor adds value themselves with a renovation. Many investors aim to strike a balance between both yield and capital growth by looking for properties that meet basic location fundamentals: close to reliable public transport, proximity to a CBD or other employment hub, and good infrastructure. DO YOUR NUMBERS The best starting point is a complete financial audit. Review how much you owe on your home and how much it’s worth to work out your equity position, then look at your earnings, how many years you expect to continue working and a rough estimate of your annual living costs. At this stage you may benefit from the advice of a financial planner or mortgage broker who can present a number of options based on your situation. Whether you seek advice or manage solo, your numbers are essential to make the right decisions for your circumstances. CONSIDER A BUYER’S AGENT Buyer’s agents are licensed professionals that specialise in searching for, evaluating and negotiating on property on your behalf. They are not real estate agents. A buyer’s agent can take the leg work and emotion out of your investment search, while working to your brief. Most charge either a flat fee or a percentage of the property purchase price, but some may charge a mix of both. A buyer’s agent can be helpful if you are time poor or unsure where to invest. Many investors use a buyer’s agent for their first one or two properties and then feel confident to go it alone. PORTFOLIO REACH If you plan to acquire a portfolio of properties, you will probably need to think beyond your neighbourhood. While many investors like being familiar with where they invest, it may be difficult to create diversity if you just stay local – and diversity, as with any investment portfolio, is important if markets shift. If you do look further afield, do plenty of research and take the time to visit the property yourself, or the development if buying off the plan.